In Hollywood they call this award season. But it’s also award season in the beer world. If you look closely at our post honoring the local brewers who received national recognition from RateBeer. 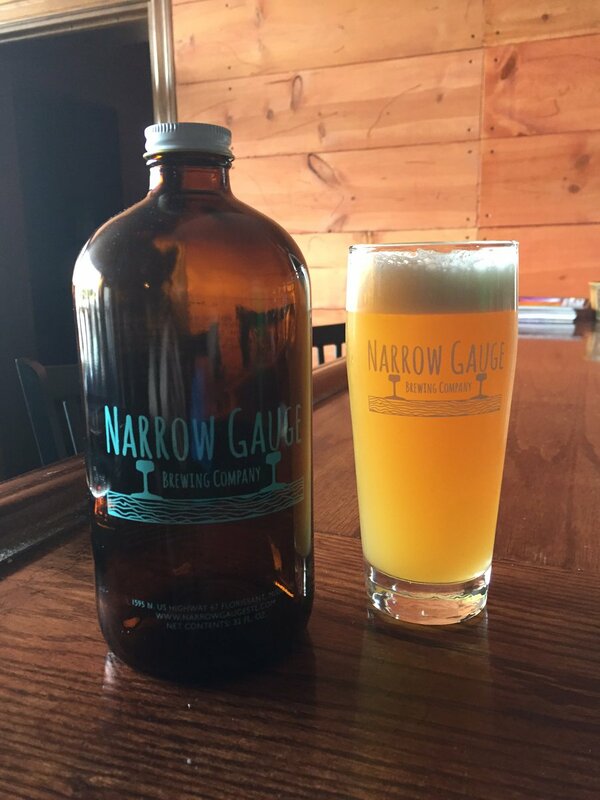 com, you’ll see one of our area’s newest brewers mentioned, Narrow Gauge Brewing Company. 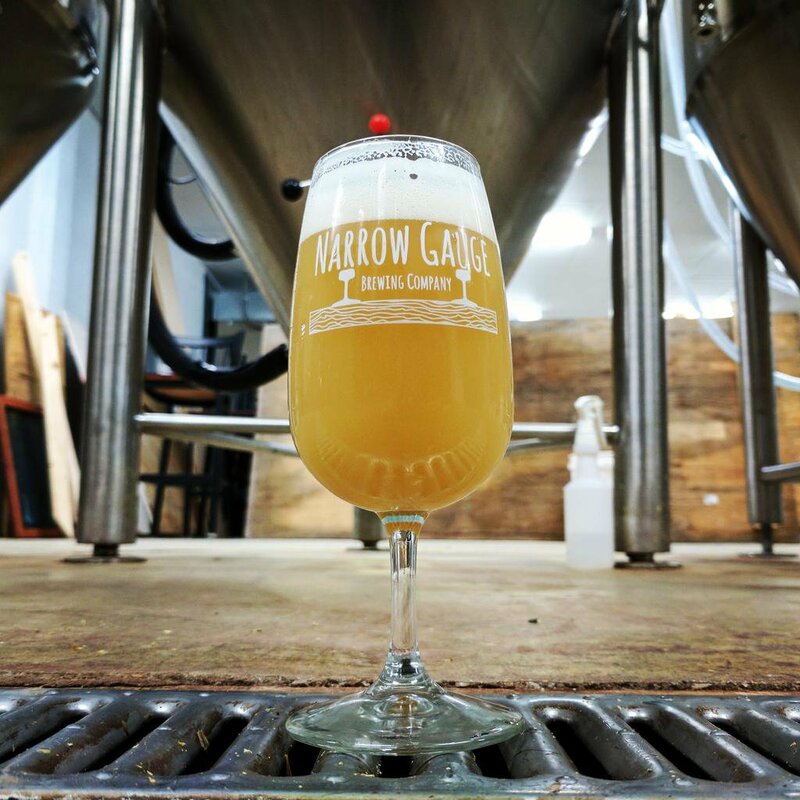 Narrow Gauge was named “Best New Brewer” in Missouri. But with so many new breweries coming to life in our area, what is it about Narrow Gauge, that has electrified the local beer loving public? We recently got the chance to interview brewer Jeff Hardesty and we think we know the answer. They’ve made their mark brewing IPA’s, Imperial IPAs and American Pale Ales. Now, with the addition of their new fermenters, Hardesty plans to start producing new beers that should excite his customers. At the heart of Narrow Gauge is three cornerstone brews. Fallen Flag, Old Town Porter and O.J. Run. Fallen Flag is inspired by some of the best IPAs brewed featuring Citra and Mosaic Hops, but most notably, Focal Banger from The Alchemist. Hardesty began brewing trials for it at home, while working towards receiving final brewing approval for Narrow Gauge from the federal, state and city governments. This beer was a recipe that Hardesty created to be the main IPA brewed at Narrow Gauge. This IPA was the first of many varying IPAs created that all share a base recipe in regards to the malt bill. It was inspired by some of the best IPAs brewed featuring Citra and Mosaic Hops, but most notably, Focal Banger from The Alchemist. A traditional American Porter, this was the very first beer ever brewed by Jeff Hardesty and was inspired by Founder’s Porter. “The first time I had a sip I was amazed by the flavor and body and that is what fueled my desire to make a porter like that,” said Hardesty. Old Town Porter was Hardesty’s first real attempt to hone in on a recipe for an original beer of his own. Countless iterations of this recipe were created to finally achieve what is enjoyed today. This beer holds a special place in Narrow Gauge brewing history as it was created with zero pilot batches. Inspired by Tree House Brewing’s Juice Machine, Hardesty says he just put together a recipe, decided to give it a go and brewed six barrels. Needless to say, OJ Run was a huge hit, cementing it as one of Narrow Gauge’s flagship beers. 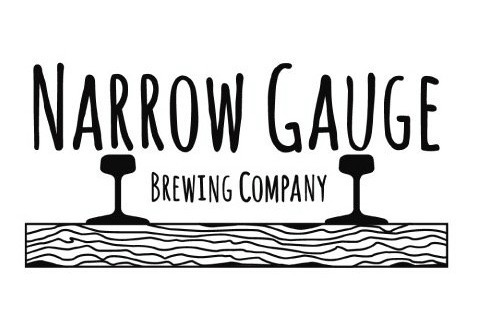 With the addition of the new fermenters, Narrow Gauge will aim to have more beers on tap, with Fallen Flag and Old Town Porter hopefully remaining staples to the tap. “We’d love to have all our beers available year round but hop sourcing can be crazy so trying to keep beers like OJ Run and Cloud City on year round would be very tough until we get the proper amount of hops through contracting,” said Hardesty. Most excitedly we should keep our eyes open for new Imperial Stouts and wild ales coming soon this year. At the heart of this operation is the zest to create something special for beer lovers, no matter what the style.